As always Chabad Chayil policy, no one is ever turned down due to lack of funds. You can pay as much as you can afford. In lieu of payment, 2.5 Hours of Community Service (like Minyan During the week). Click Here to RSVP for Dinner! If at all possible, please try to reserve by Wednesday! For Hotel or Motel options within walking distance from Shul click here. The closest option is Motel Chai, but they have very limited availability. Join us for a wonderful experience as we celebrate Shabbat together with insight into the traditions and customs that have enriched our lives for thousands of years. 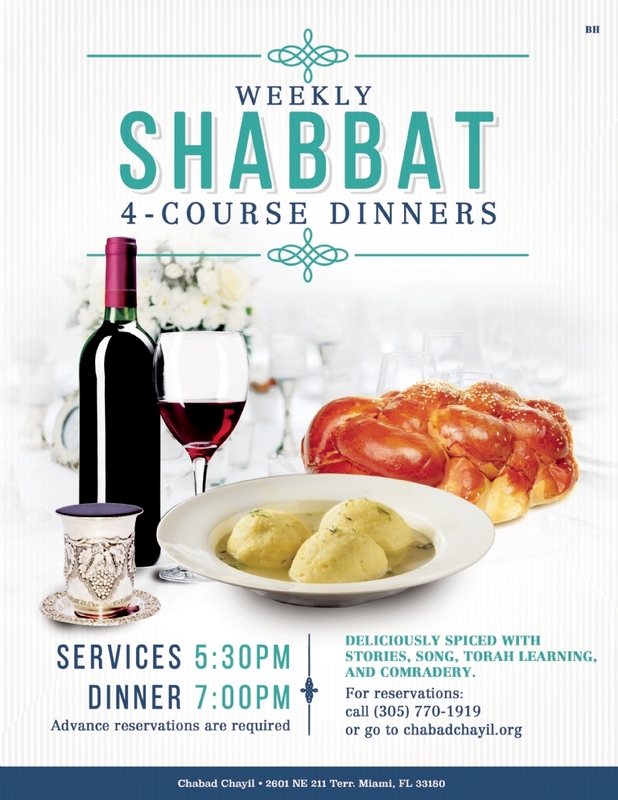 On Friday evenings you’ll enjoy our delicious Shabbat cuisine, including Gefilte fish, Chicken soup, Kugels and all the trimmings! On Shabbat morning you'll enjoy hot Chulent and a variety of other Kidush favorites! You’ll hear all the beautiful Shabbat songs and melodies that have been sung throughout the generations. You’all hear insights into the weekly Torah portions, delightful Chassidic stories and an English explanation of the Sabbath traditions. For Free Membership in The Family Shul click here!